Posted in AgencyND, Marketing, Social Media, Technology, and Web Industry. If Google does something, we all notice. If a hot, new social network hits, we all notice. So this week, the world is a-buzz with the latest social network, Google+. 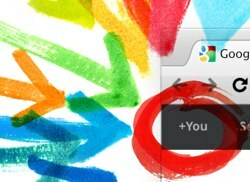 If you’re reading my blog, you’re probably well aware of Google+ and probably already have your invite. You’ve also likely started forming an opinion, whether or not you’ve actually used the site. Here’s the thing: it’s ok to be intrigued or cynical. We can’t very well speak to the possibilities and pitfalls without participating. Recently, I’ve written about what a waste of time social media can be for organizations and businesses that don’t have their business and marketing fundamentals down. And Google+ is part of that. But for us marketers – those of us who have to help those clients – our job is to make damn sure we know what we’re talking about. So that means checking out every new tool and exploring potential uses. It means reading articles and blogs about Google+ and seeing what works for companies and what doesn’t. It means forming a well-informed and well-considered opinion. And that means using it. We can’t very well speak to the possibilities and pitfalls without participating. So go ahead and take a look. Decide for yourself. Just don’t let the shiny blind you to the fundamentals. Couldn’t agree more. I got behind the velvet rope of G+ last Friday. Immediately started wondering if I was just chasing another shiny thing. But no, that’s what early adopters or in some cases, early discarders) do. We learn the tools so that we can use them in the broader strategy. Good post. Gotta say that I haven’t done much with Google+ yet, but I’m in. Right now I’m feeling like the one-third of the population that feels overwhelmed by technology (story). In my heart, I agree. But in practice, I’m ignoring the latest shiny object, at least for the moment.